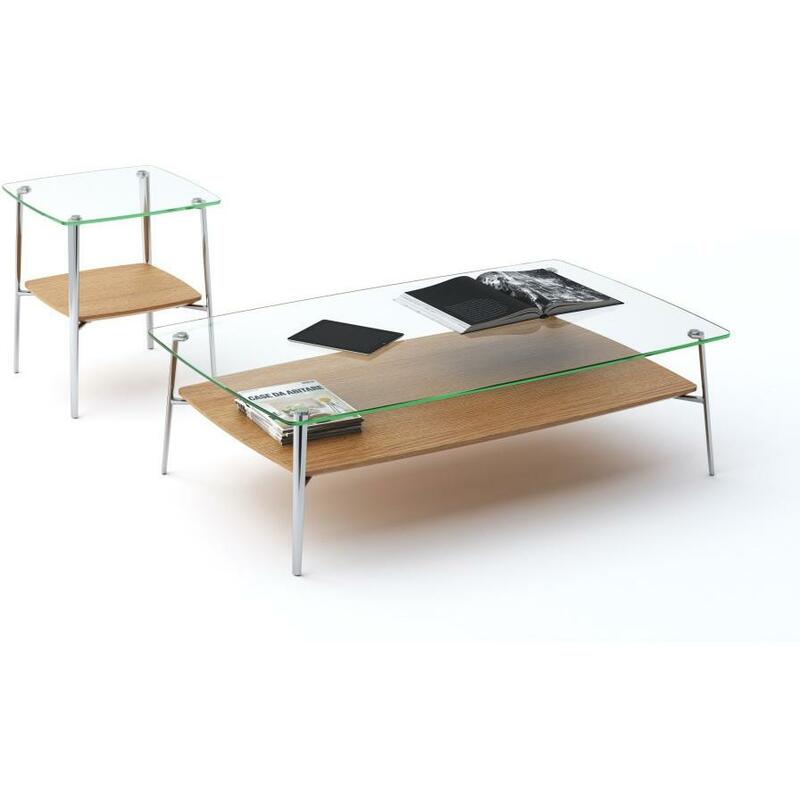 REG Price: $1,399; ON CLEARANCE FOR $899. 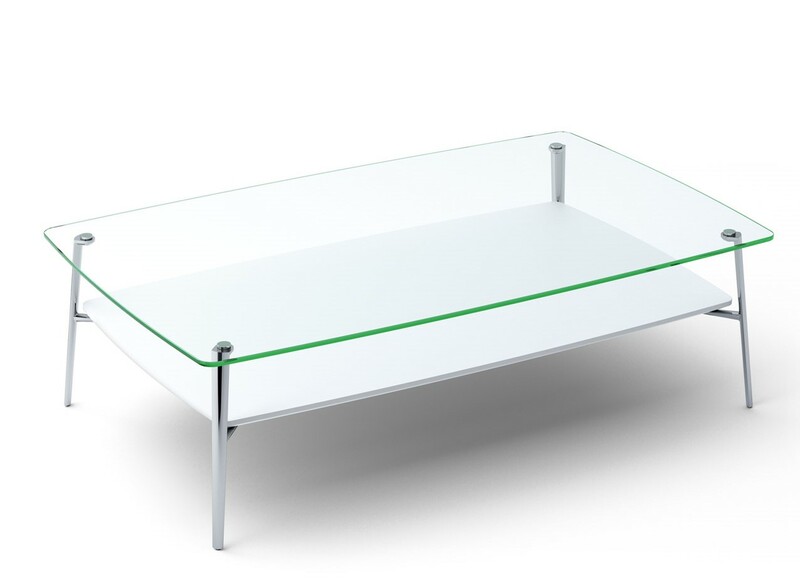 Also available in Satin White on clearance. 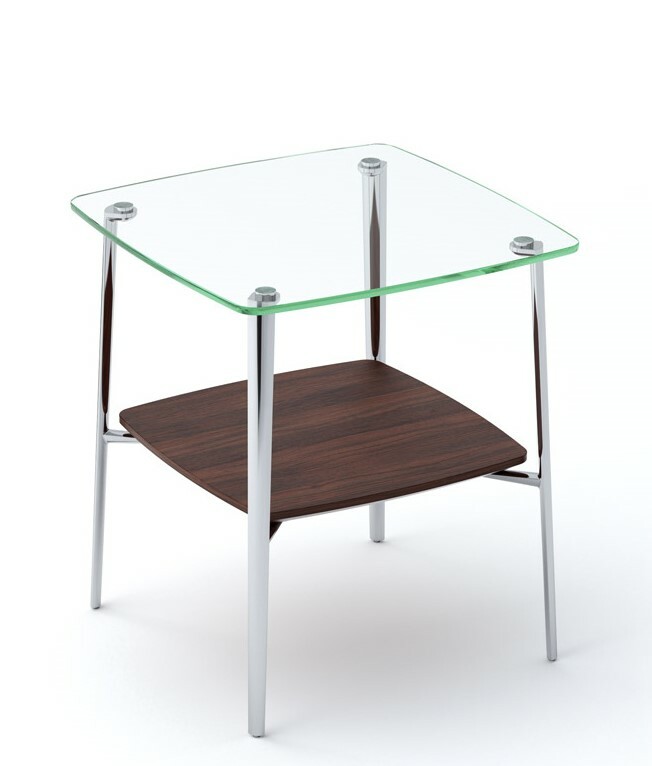 Matching end table is also available on clearance. 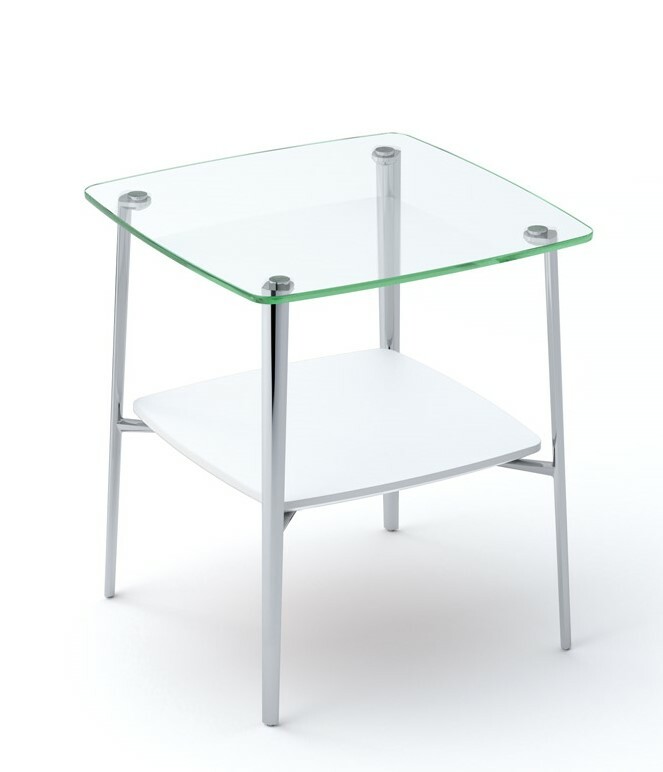 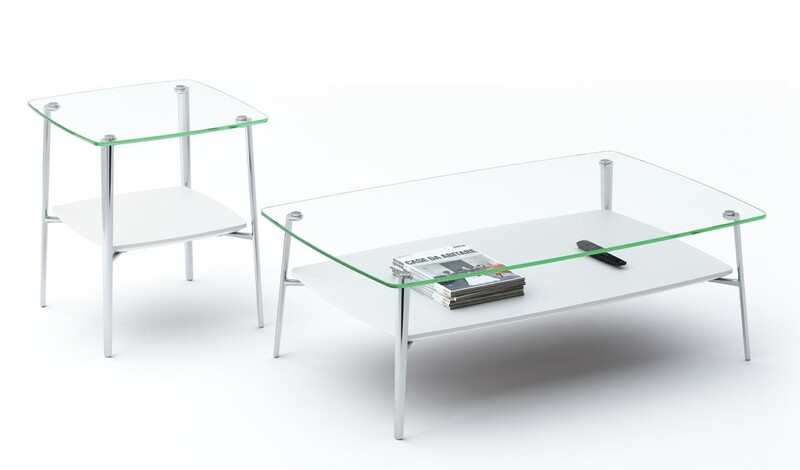 The TAZZ tables feature a floating shelf and glass top supported by polished aluminum legs. 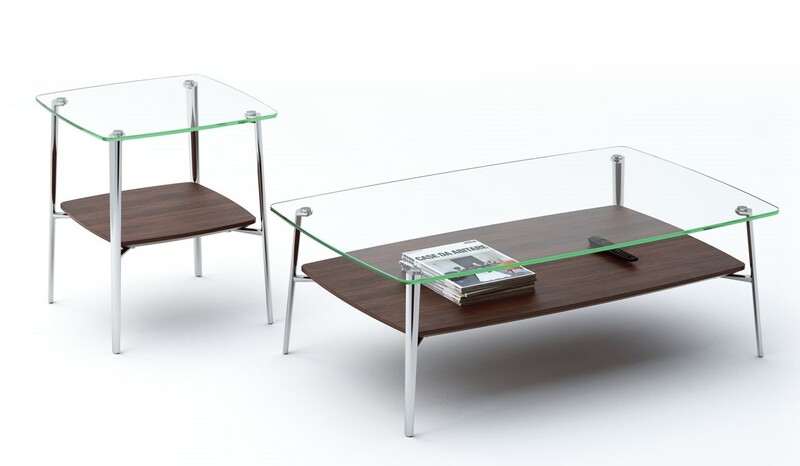 Available in two coffee table sizes and an end table, the shelf is available in White Oak, Natural Walnut, Chocolate Stained Walnut and Satin White finishes, coordinating beautifully with many of BDI’s most popular designs.